Six men stood very still, a rope wrapped ’round their waists supporting the 25-foot pole they had just lowered in a deep hole filled with fresh cement. I was thinking my own thoughts, hiking in their neighborhood in Peru’s Sacred Valley to reach the salt mines, when I came upon them. Not sure who was more startled because my route isn’t exactly a well-traveled tourist road. 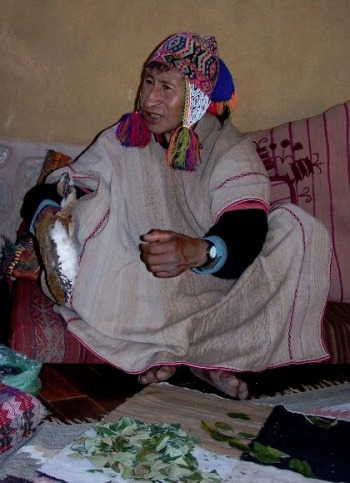 These are Quechua people, descended from families in the Andes who were here before the Inca. They hold dear the principle of reciprocity, continually giving to one another, always helping each other. They call it ayni and they really mean it. That’s why the men of the community were pulling together to erect these poles, and the women were cooking hearty soup to feed them when the rope was loosened. Electricity could come their way for the first time ever if they put the poles in place. Could be those neighbors have a clearer world view in their tiny community outside very rural Rumichaka, Peru than pundits, politicians and philosophers in many a great metropolis. Stay a whole week in the Sacred Valley of the Incas, a region in Peru that also gives easy access to the bustling beautiful city, Cusco, and to the fabled Machu Picchu. Allow a few days in each. That week in the Sacred Valley blended day trips to historic sacred sites with community time to stroll the neighborhoods, meet the people and reflect on the wonder of this world while gazing at Southern Hemisphere constellations at night and sitting in gardens by day. Peru is not a place to rush through; better to absorb and reflect. The gardens of Willka T’ika Guesthouse – which means sacred flower in the Quechua language – are abundant and arranged carefully to claim private time. 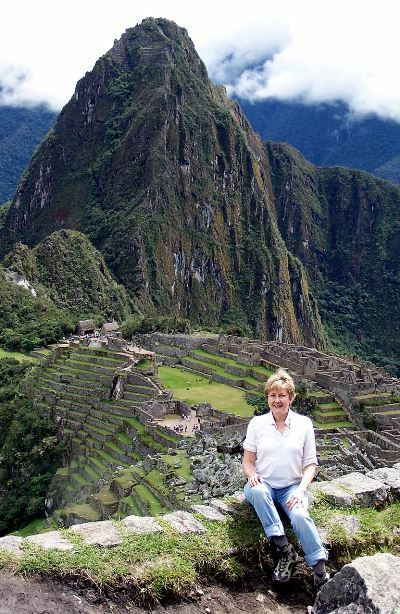 Carol Cumes, author of “Journey to Machu Picchu: Spiritual Wisdom from the Andes,” is the guiding force. 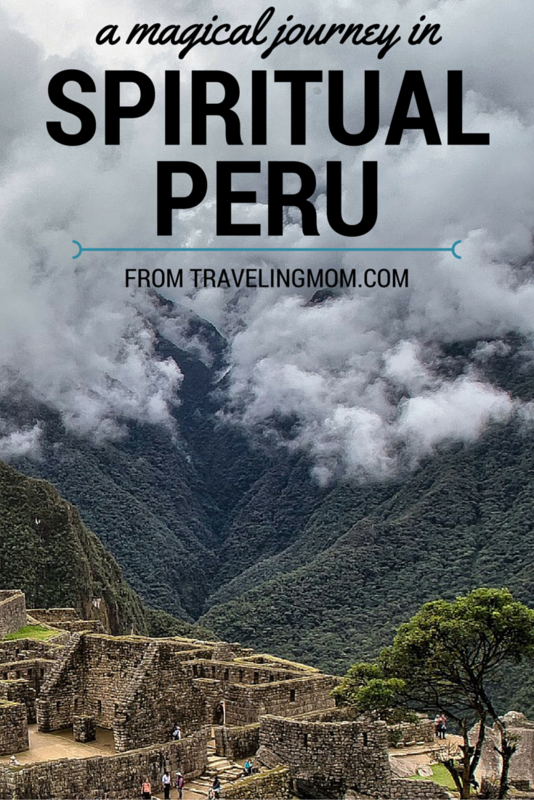 She is passionate about sharing the spirituality she has discovered since first visiting Peru in 1984. 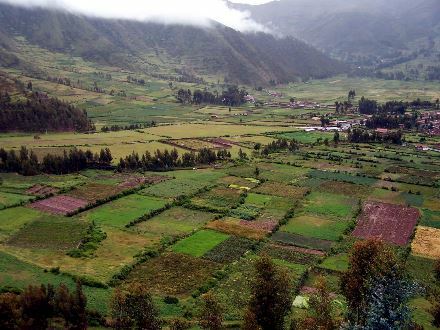 Born in South Africa, she lived in America for 20 years, built a personal home and then a guesthouse in this Sacred Valley and now shares her time in all three countries. Admiration for the ancient ways of the Andean people who preceded the Inca and survived the Spanish invasion is easier to develop when you live among the people instead of changing hotels every night or two. I witnessed ancient traditions in practice today and accepted invitations to participate in many of them. OK to watch from a distance. We met local people whose daily walk reflects centuries of family ways of cooking and weaving, farming and healing. I don’t know if all that is magic, but it certainly was personal. That’s a filter for me to better understand the speculation wrapped around Machu Picchu, and the other historic sacred sites to visit here—places with musical names including Saksaywaman and Ollantaytampu. Historians, scientists, scholars, mystics, astronomers and average every-day people report sensing energies or spirituality, cosmic forces or artistic inspiration at Machu Picchu and other sites. On our approach we took the time every day in these places to slow down and participate in an ancient tradition of welcome or blessing or appreciation. 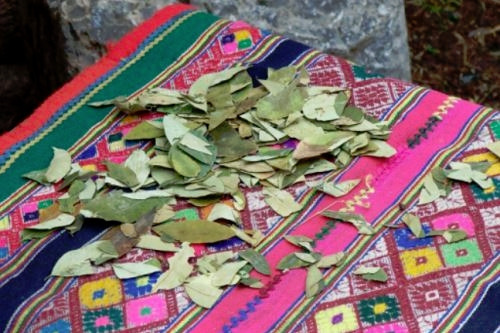 Urubamba resident Gabriella Meneses, a serious student of sacred traditions in Peru, opened doors for us to do these things, or to meet the healers or local spiritual leaders who could. Each of the destinations within a magical journey to Peru is worth a story. Cusco, the Inca capital called the navel of the world because it was the center of that empire from 1100-1400, is a beautiful place. The Spanish arrived in 1532 and built their idea of fine construction on top of Inca buildings, where the original people and their descendents figured out how to maintain their own understanding of how the world works. Saksaywaman, an immense place of stones so large and so tightly placed that all theories of how the Inca placed them seem plausible. Also a place of open spaces and inner caves, symbolism and light, school groups and tourists. Ollantaytampu, an Inca fortress in the Sacred Valley, fine to climb for a wider view of the land and for cardiac pumping, plus a friendly look into a little community where guinea pigs roam in the kitchens and people learn to blend their lifestyle of centuries with the arrival of tourism.